Nearly every major city was built near the convergence of many rivers. As cities grew with the Industrial Revolution, these rivers became conduits for disease and pollution. The 19th-century solution was to bury them underground and merge them with the sewer systems. These rivers still run through today's metropolises, but they do so out of sight. 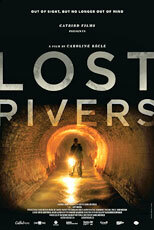 LOST RIVERS examines hidden waterways in cities around the world and introduces us to people dedicated to exploring and exposing them. In Montreal, urban explorer Danielle Plamondon and photographer Andrew Emond follow the stony underground tunnels that contain the Rivière Saint-Pierre. In Bresica, Italy, a group of urban explorers conduct popular, officially-sanctioned tours through the city's network of medieval rivers. More and more municipal governments are recognizing the wisdom of these explorers and making their once-buried waterways more accessible. 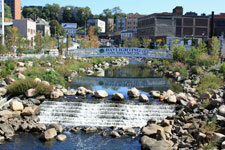 Drawing inspiration from Seoul, whose Cheonggyecheon River was opened to the public in the early 2000s after 40 years of being hidden beneath a highway, Yonkers, New York has committed itself to "daylighting" its Saw Mill River, which has been buried under the city's downtown for the past 90 years. In London and Toronto, planners are rethinking the way they manage their rivers for environmental reasons, responding to structural problems that have to increasingly frequent flooding and sewer overflows. 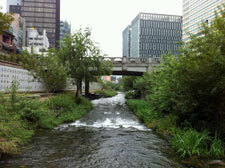 As climate changes forces us to reconsider the relationship between the built environment and our natural resources, LOST RIVERS brings to life an aspect of urban ecology that has long been kept secret. Great Expectations: A journey through the history of visionary architecture, a survey of the most significant architectural movements of the 20th century that challenged conventional concepts. Regular or Super: A lovely introduction to Mies van der Rohe, one of the 20th century's most influential architects, and a stimulating examination of modernism and urban environments. The Great Flood: Artist Bill Morrison and musician Bill Frisell evoke the Mississippi River Flood of 1927 and ensuing transformation of American society.